Fr. Benedict Groeschel was an American Franciscan friar, Catholic priest, retreat master, author, psychologist, activist and television host. He hosted the television talk program Sunday Night Prime broadcast on the Eternal Word Television Network as well as several serial religious specials. He founded the Office for Spiritual Development for the Catholic Archdiocese of New York. He was Associate Director of the Trinity Retreat House for clergy and executive director of St. Francis House. He was professor of pastoral psychology at St. Joseph's Seminary in New York and an adjunct professor at the Institute for Psychological Sciences in Arlington, Virginia. 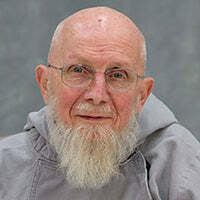 He was one of the founders of the Franciscan Friars of the Renewal and among his close friends were Mother Teresa, Mother Angelica and Alice von Hildebrand.